Sonoran Permaculture Guild partners with other organizations such as Bean Tree Farm for additional workshops and events, as well as internships and work-study arrangements. The future of sustainable agriculture will be in small to medium scale organic food gardens grown right in and around our cities. In this workshop that includes hands-on work, you will learn about desert adapted food production strategies such as sunken garden beds, self-watering containers, and aquaponics. 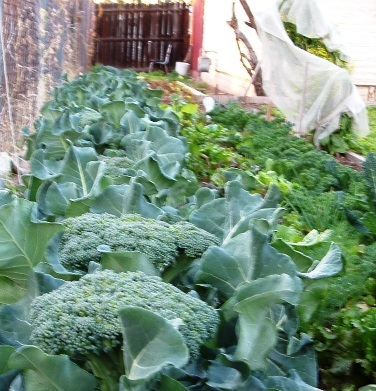 We will show you how to increase your garden’s health, production, and nutrient value, using an integrated system of composting, vermiculture, mulch, companion plant selection, and irrigation to improve fertility, structure, and life in your soil. A special emphasis will be placed on producing our own inputs for soil fertility using the fermentation process. Specifically, we will discuss how we can use key Korean Natural Farming techniques like Oriental Herbal Nutrient, Bokashi, Fish Hydrolysate, and Lacto Bacillus Serum to grow our soil. We will discuss how to produce food with minimum water use. We will use a Sonoran Desert Food Forest framework- a diverse layering of annual and perennial food plants that can help increase garden health using Permaculture design strategies as the guiding theory for this class. Location: The Community Food Bank Farm, Las Milpitas de Cottonwood, at 2405 South Cottonwood Lane, Tucson – Time: 9:00AM – 12:30PM – Cost: $35 – Class size is limited to 18 participants and​ includes all class materials and handouts. Taught by Zotero Citlalcoatl. See registration info at the bottom of this page or contact Dan at dorsey@dakotacom.net. Register through Tucson Botanical Gardens – see info below in the text for this workshop – do not register through Sonoran Permaculture Guild. In this design workshop you will learn how to map out the natural story of the place where you live, and then put together an exciting, long term plan for your sustainable home and landscape – one that takes care of people and takes care of the environment at the same time. 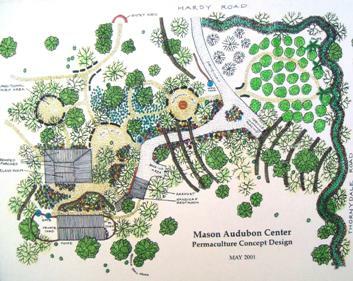 We will practice the skills and strategies needed to do Permaculture design, like mapping out the natural and person-made forces that effect a site and using simple elevation finding tools. Bring a sketch or aerial print of your site or yard that you want to design. 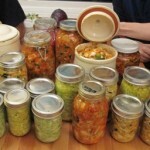 Food and Drink Fermentation Workshop – Sunday – Check back in early August for Fall 2019 Date! In this fun workshop, we’ll eat and drink our way through 2000 years of fermentation history, as we sample sauerkraut, kimchi, various drinks like hard apple cider, wines, and meads, no to low alcoholic soft drinks, as well as sourdough starter, breads, vinegars and other ferments. We’ll learn how to create and enjoy these delicious and healthy fermented foods in the home, using just the common beneficial yeasts and bacteria that are already floating around in the air or on the food and simple containers you already have in your kitchen. No special equipment or starters are required! This workshop will show you how to make fermented food and drinks using techniques going back hundreds and even thousands of years. We will use locally available ingredients found at farmer’s markets, grocery stores, or from the garden. We’ll also talk about the historical story behind these ferments. Fermentation has been used to create delicious complex flavors, prevent and treat disease, preserve, create human culture, and free up additional nutrients in food and drink for thousands of years. Natural Building and Passive Solar Design – Sunday- Check back in early August for Fall 2019 date! 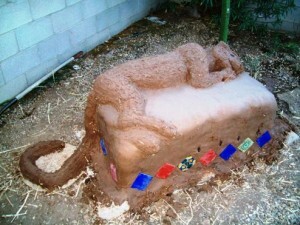 This workshop includes hands on work with straw bales, adobe blocks, cob, and plasters. We’ll do hands on building of small structures like benches and walls – projects that you can easily do at your own place to create beautiful outdoor spaces. After this hands on work in the morning we will cover the building codes related to these materials used in larger projects. We will also cover retrofit of existing homes and yards and demonstrate the main principles of good passive solar design. This class emphasizes integrated design of our homes and getting back in touch with the patterns of nature, so we can make design decisions that are in tune with the environment. We’ll talk about how using these natural building materials can help make our living environments more healthy and comfortable, and save us money on utility bills. Location: The Sonoran Permaculture Guild Office and Classroom site, one and a half miles north of downtown Tucson – Time: 9AM to 3:30 PM – Cost: $69 – includes step by step how to class handouts. Class size is limited to 12 participants – Taught by SPG Lead Teacher Dan Dorsey. See registration info at the bottom of this page or contact Dan at dorsey@dakotacom.net. How do I register for a one day or half day class? You are registered for a class or workshop when we receive your payment in full. There are three ways to pay and register. Remember if the workshop header says to register through a co-sponsor, use the directions in the description of the workshop instead of these. 2. In Person – You can travel to our office and drop off a money order or check made to Sonoran Permaculture Guild LLC and give it to Dan Dorsey, the SPG registrar, and a receipt will be issued to you at that time. Please E-mail or call 520-624-8030 to schedule a time before you travel here to make sure someone is in the office. Our office is one and a half miles north of downtown Tucson. 1. Click on the ‘Buy Now’ button on this page. 2. When it takes you to the secure PayPal site, where it says ‘Purchase Details’, type the name of the workshop(s) or course you want to take – Example: ‘Bee Keeping’. In the ‘Item Price’ Box, put in the amount you are sending – Example: ‘$250’, then click on the ‘Continue’ button. 3. This will take you to a page where you are given the option of paying with your PayPal account or with a credit or debit card. If using a credit or debit card, click on the ‘Pay with debit or credit card’ link. 4. Enter your Credit or Debit card info and press the ‘Pay Now’ button. If after I register and pay what if I need to cancel? Our refund policy is as follows: Up to three weeks before the class, you will receive a full refund minus a $5 refund and processing fee. Up to ten days before the class you will receive one half of the class fee as a refund. If you cancel after ten days before the class date, there is no refund, but if you let us know you are cancelling at least two days before the workshop, we will give you some partial credit to use toward a future class. If the class you are signed up for is full with a waiting list, and we can fill your cancelled spot, you will receive a full refund minus a $5 processing fee up to the day of the class. Can I get college credit or continuing education credit for taking any of these classes? Some of our participants have been college students, and they have worked with their departments at the University of Arizona, Prescott College, and Pima Community College to obtain independent study credit for taking our courses and classes. It is up to the individual student to work out the arrangements with his or her college or department for credit. Other participants have been able to take continuing education credits for our workshops and classes, but again it is up to the participant to work out the arrangements with their certifying organization. What if I have additional questions about what to expect in the classes?